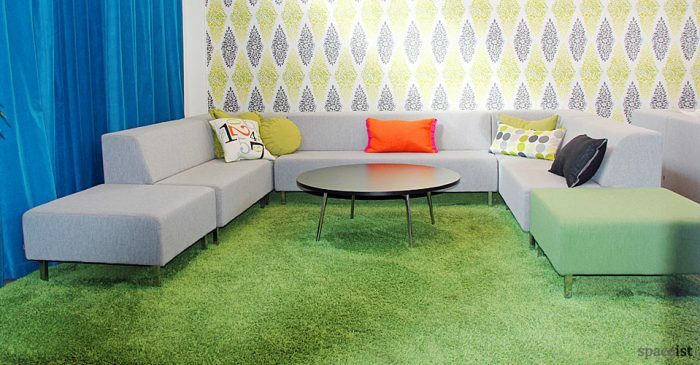 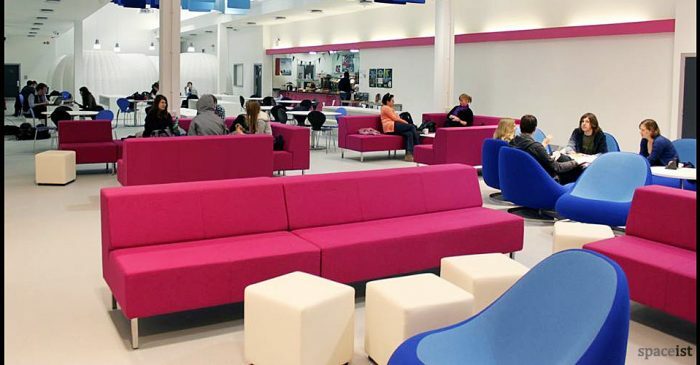 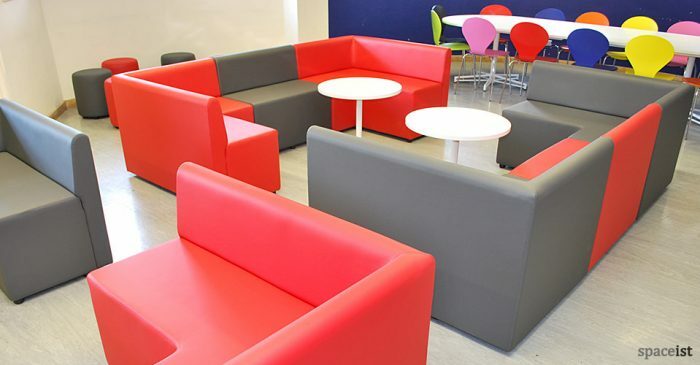 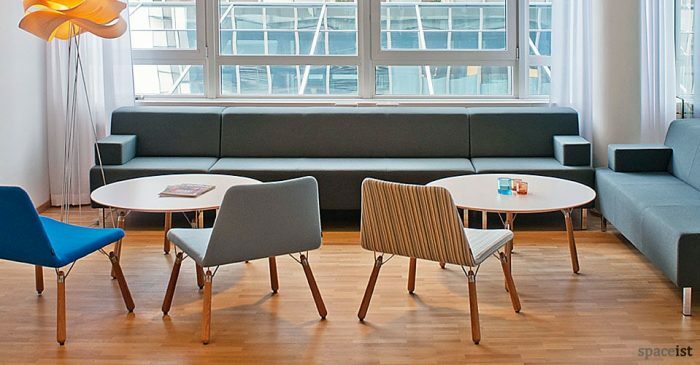 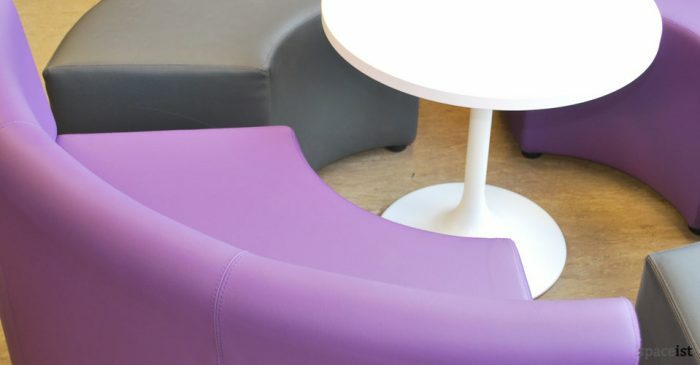 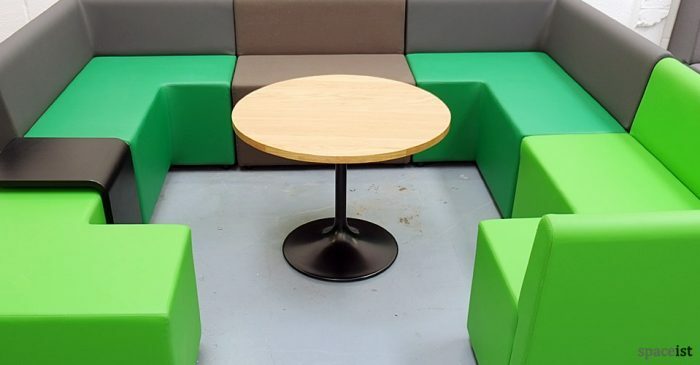 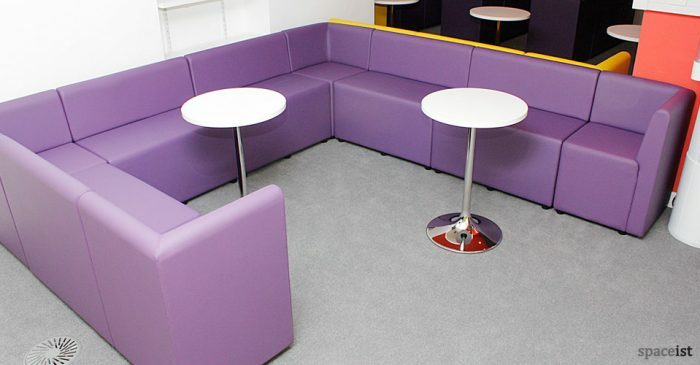 The Hangout sofa is suitable for breakout, staffroom, school & general office areas. 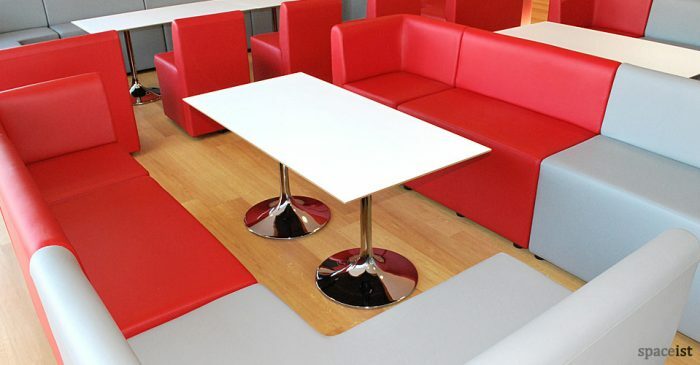 Choose from wipe-able faux leather or fabric. 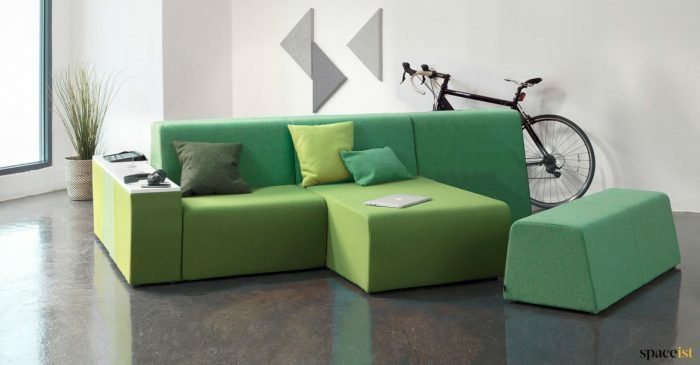 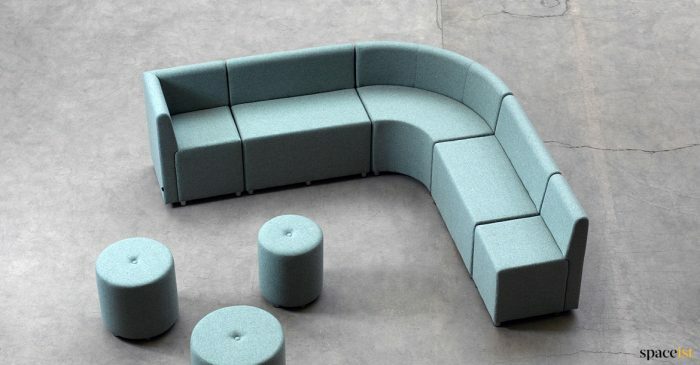 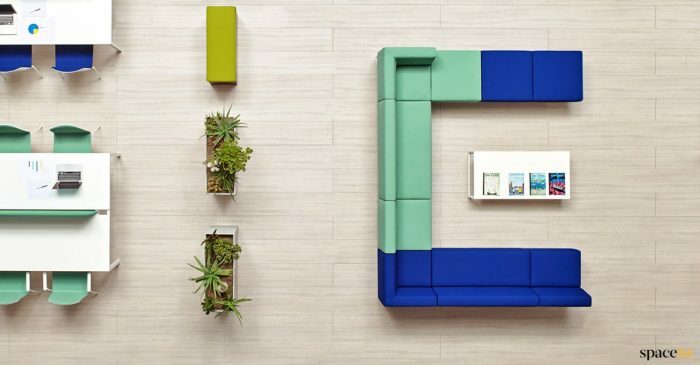 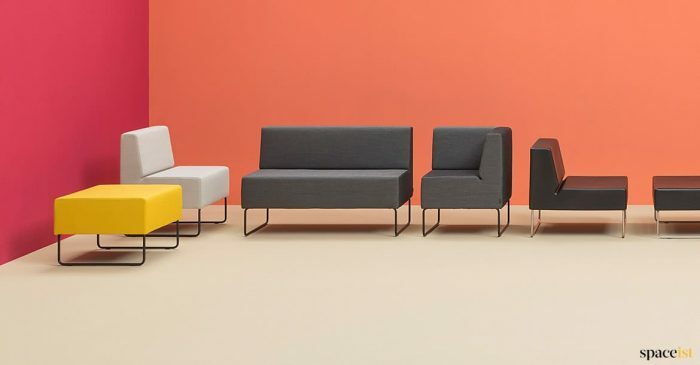 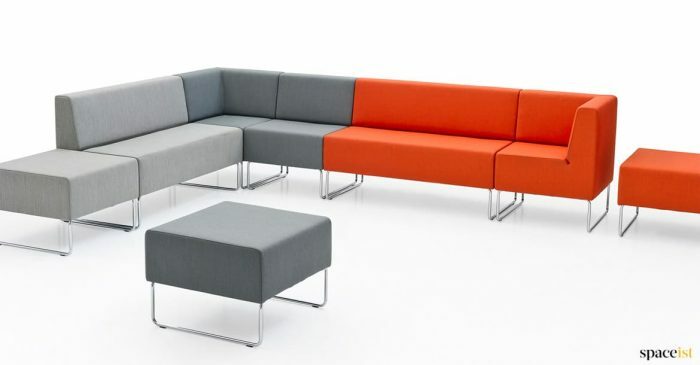 Modular sofa for breakout & office areas. 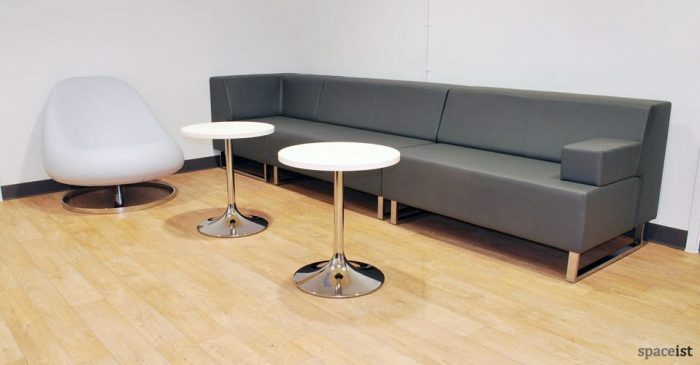 Choose from a low or high leg version in faux leather or fabric. 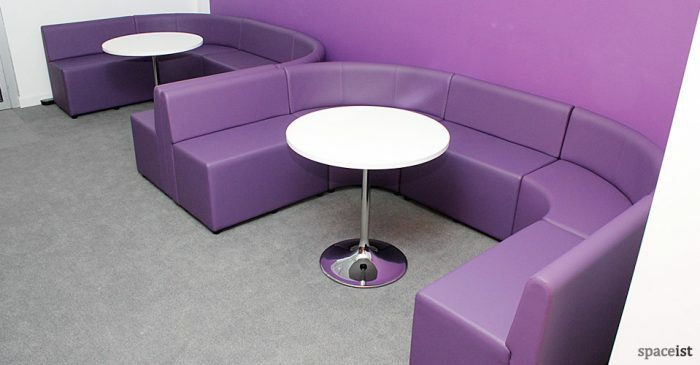 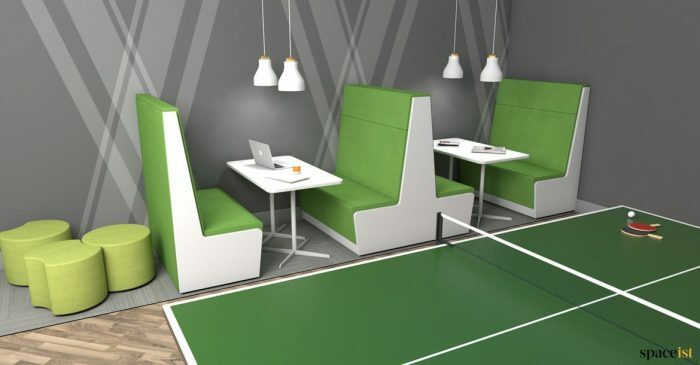 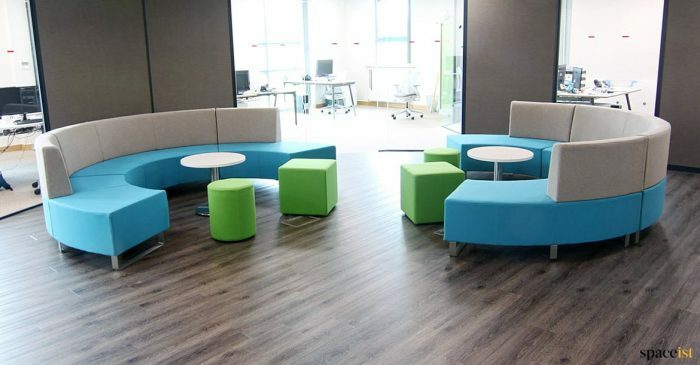 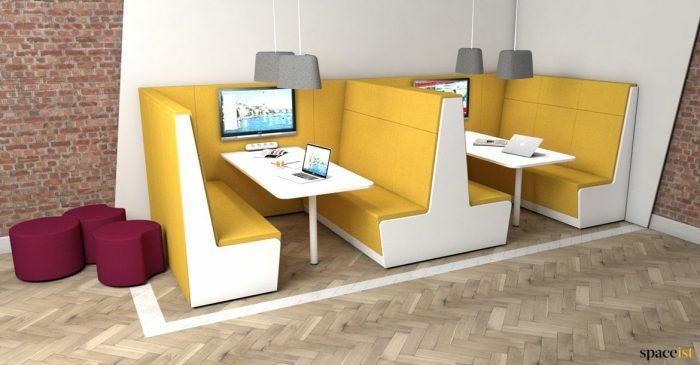 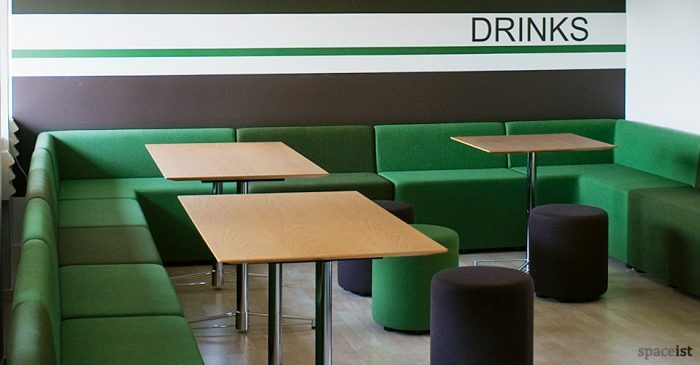 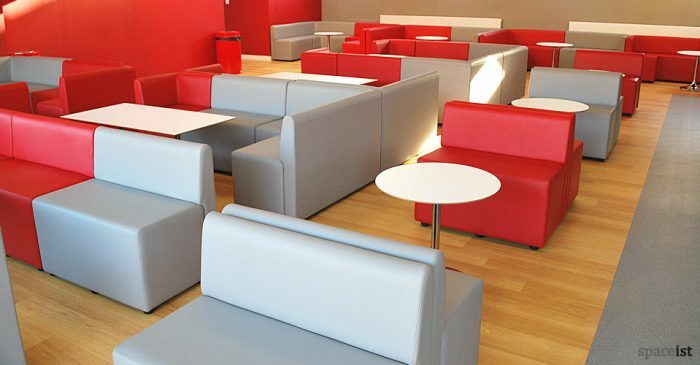 Bar height modular sofa system for breakout, staffroom & office areas. 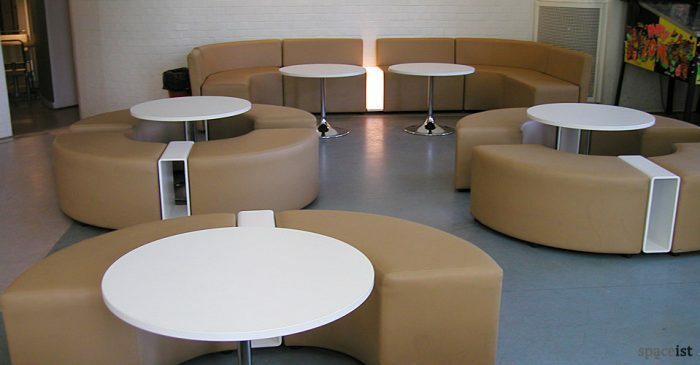 Choose from a range faux leather or fabric colours. 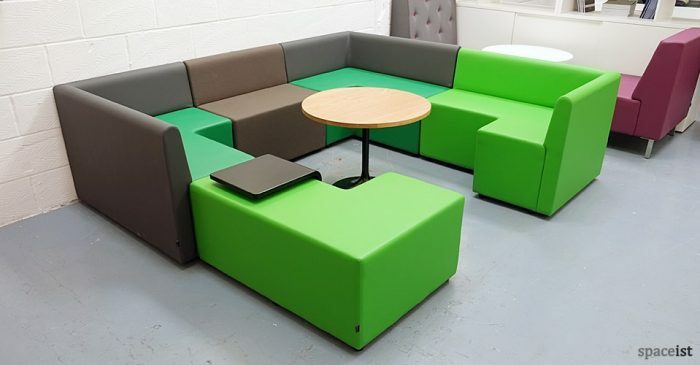 Green modular U-shaped booth with chrome base. 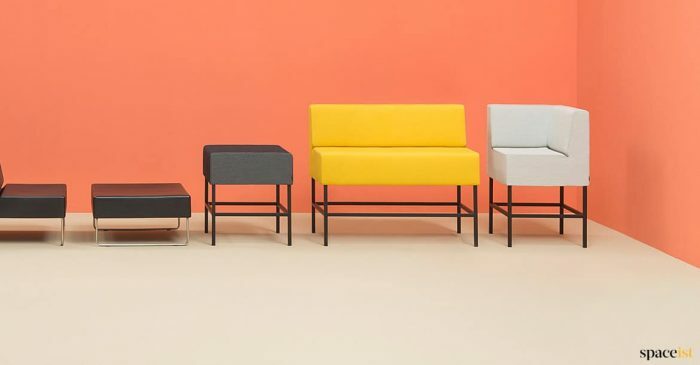 Seat comes in red, blue, orange or pink plus a selection of fabrics. 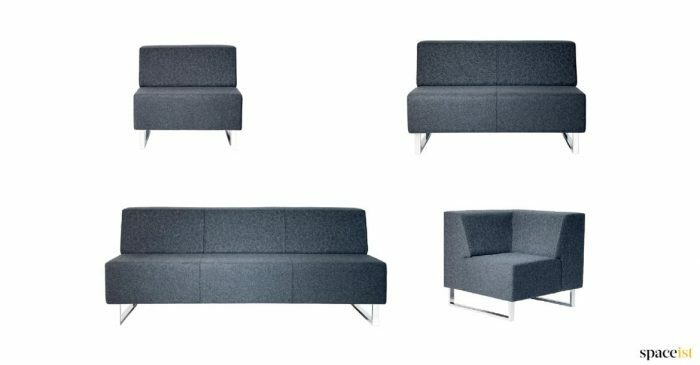 Long grey modular sofa system can be upholstered in red, blue, orange or pink plus a large selection of fabrics. 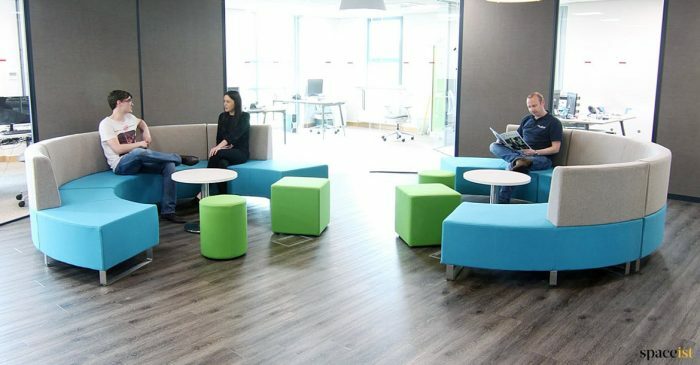 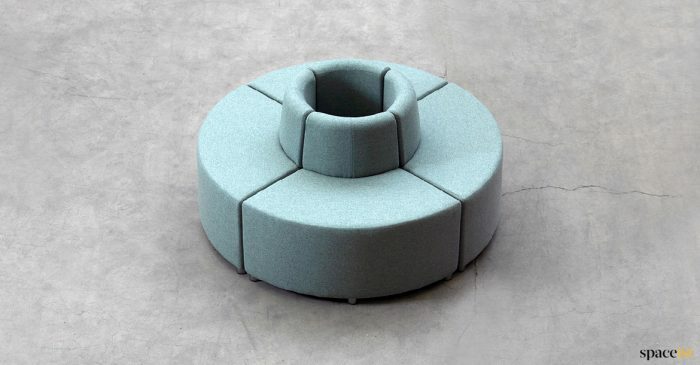 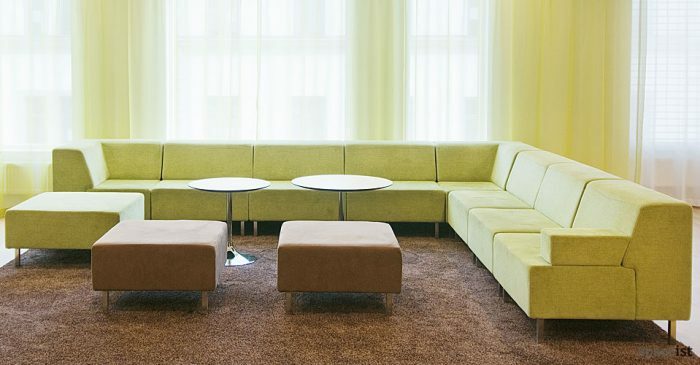 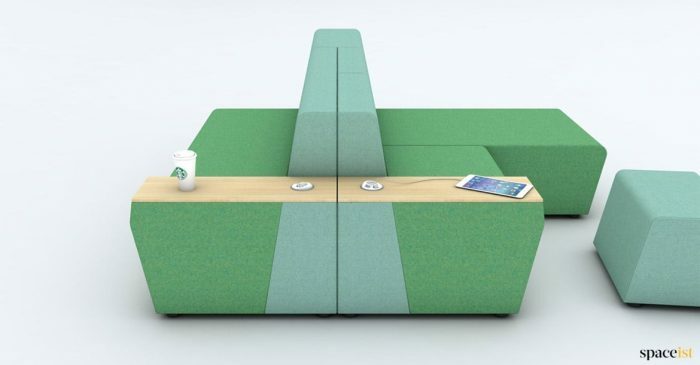 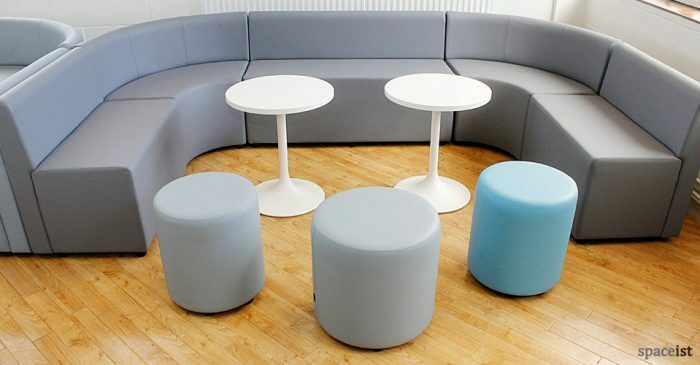 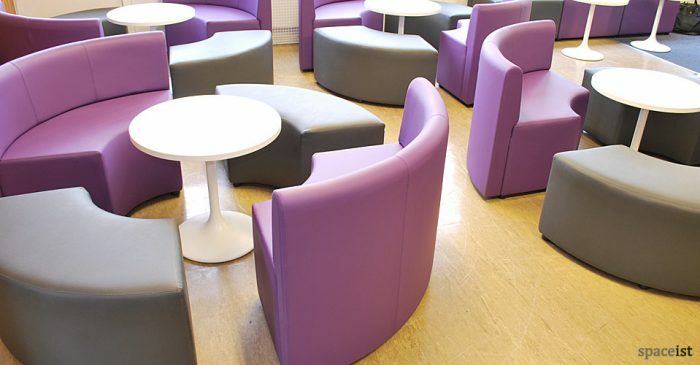 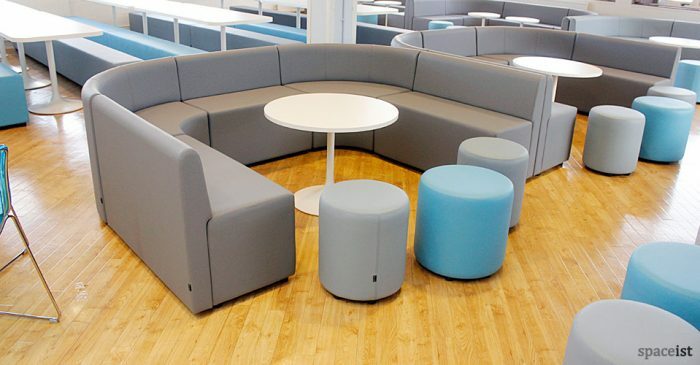 Circular sofa for breakout, staffroom, school + office areas. 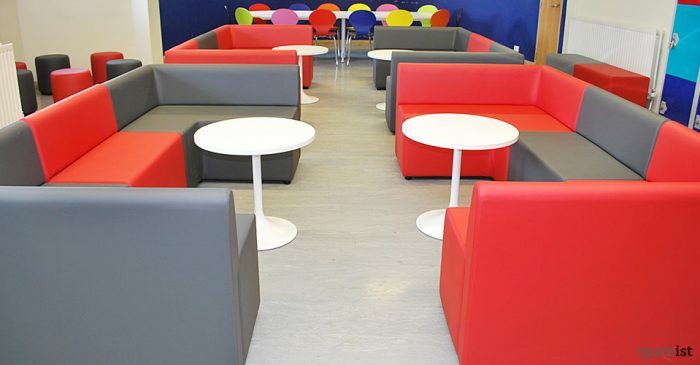 Choose from a large range of colours.